Residents of The Forum Condominium live in close proximity, share common facilities, and jointly pay condominium expenses. Thus, adequate rules are needed to assist in maintaining a compatible community with a warm, congenial atmosphere. The Forum Condominium Association carries a number of insurance policies as required by the Condominium's basic documents. Included among these policies are the Property (including Flood and Earthquake coverage of $1,000,000 each), Boiler and Machinery/Equipment Breakdown, General Liability, Umbrella Liability, Directors and Officers Liability, Employee Dishonesty, Workers Compensation, and above-ground storage tank liability coverage policies. Most users of this website surf the net. Here are a few sites we've found to be handy. The Forum was visited by four planners from the White Flint Partnership. The outlined the hope of seven developer corporations to build a pedestrian-friendly area centering on the Pike from Montrose Parkway to south of White Flint Mall. To see what they're planning check out their site whiteflintpartnership.com. Community groups in the area formed Friends of White Flint. Check them out at friendsofwhiteflint.org. Also check out Pike & Rose, in development across Rockville Pike from The Forum. If you want to find a book in a library branch; check out the route and schedule of RideOn buses, or many other other County services, go to the County's website. Go to montgomerycountymd.gov. Know Seniors Who Need Help? 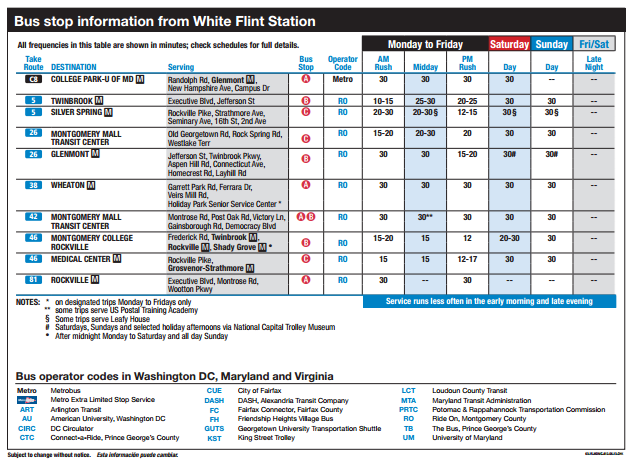 Check out Metro for schedules, travel times, delays and more. Go to wmata.com. In addition to news, go to the website for restaurant reviews, museum exhibits and more. Check out washingtonpost.com. We are recycling small batteries by dropping them off at the front desk. We can now do the same with toner cartridges. Don't put these reusable items in the trash! The Forum's Energy Conservation Committee will turn them into cash for our community. Recycle your toner cartridges. You'll help the environment and help the Forum (a little, but every little bit counts!). METAL CLOTHES HANGERS and small metal items...Put them in the specially labeled metal recycling bin in the back of the building. What is the Maintenance for Fee Program? Work listed below the first section will be billed with a check due from the Resident made out to the Forum Condominium and given to the front desk Residents who have not paid previous balances will not be scheduled for work other than emergencies. What's on The Forum website? Go to theforumcondominium.com, register, entering the informaion you wish public with your e-mail address required. You'll receive by e-mail a randomly selected password. Go back the website and login. If you choose, open your profile and enter yuor own preferred password. The website is organized as follows. If you have difficulties or questions, cleck on contact me, select webmanager and enter you question.